The Hague (AFP) - International judges will Friday hand down a verdict in the appeal of disgraced former Congolese vice-president Jean-Pierre Bemba, fighting his conviction for war crimes and an 18-year jail term. Bemba, 55, appealed after judges at the International Criminal Court (ICC) unanimously found him guilty in June 2016 on five charges of war crimes and crimes against humanity in the Central African Republic (CAR). In a landmark case, the heavy-set, imposing former leader nicknamed "miniature Mobutu" was convicted for his role in a reign of terror by his troops, sent into CAR in October 2002 to quash a coup against the then president Ange-Felix Patasse. The court said the powerful leader of the Congolese Liberation Movement (MLC) militia had failed to stop a series of "sadistic and cruel" rapes, murders and pillaging by his soldiers between 2002 and 2003. 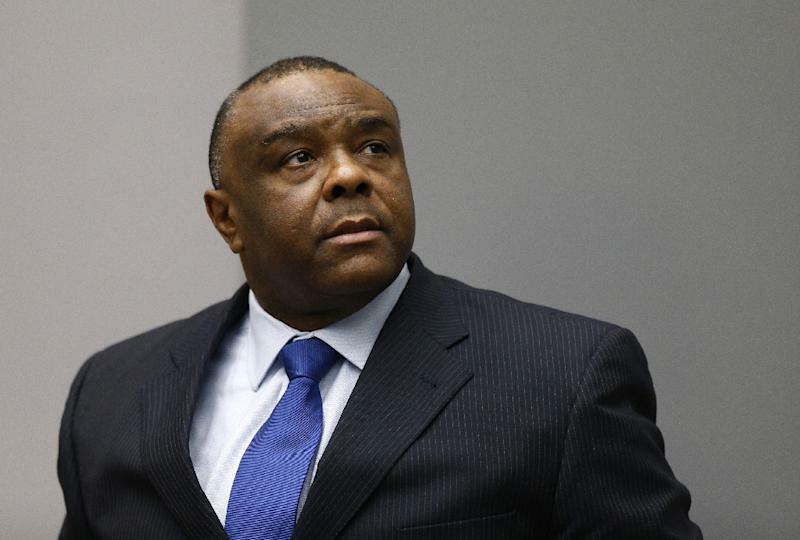 Bemba "directed a widespread attack against the civilian population" during a five-month assault when "entire families were victimised", the judges said. Some victims were raped repeatedly by as many as 20 soldiers, others were shot point blank for refusing to hand over a motorbike or a sheep. Bemba knew the crimes were being committed and "failed to take all necessary and reasonable measures to prevent or repress the commission of crimes by his subordinates," the judges ruled. The trial, which opened in November 2010, was the first before the ICC to focus on sexual violence as a weapon of war, and the first to underline a military commander's responsibility for the conduct of troops under his control. Bemba was the highest official ever convicted and sentenced at the court, and has received its longest jail term to date. Set up in 2002, the ICC is a court of last resort which aims to prosecute the world's worst crimes in cases where domestic tribunals are unable or unwilling to act. Chief prosecutor Fatou Bensouda hailed Bemba's conviction as "sending a very strong signal to commanders that they will be held accountable for the crimes that their troops commit in the field". But the prosecution has also appealed against Bemba's sentence, pleading for his jail term to be increased, saying it "did not reflect the gravity" of all the crimes. In the appeal, defence lawyer Peter Haynes maintained that the trial judges chose to ignore much of the defence's evidence. "A hatchet was simply taken to the defence case," Haynes told the five appeals judges in January, adding the trial court had taken "an unbalanced" approach to the evidence. Bemba's lawyers also said the judges "invented a theory of command responsibility which is a military impossibility". He lost a separate appeal against that bribery conviction when appeals judges agreed with prosecutors that a one-year term was not tough enough and sent the case back to the original trial chamber for a new sentence. A wealthy businessman, Bemba was once a towering figure in business and politics in the Democratic Republic of the Congo. His family was close to that of former dictator Mobutu Sese Seko. But after the Congolese war ended, Bemba laid down his arms and was awarded in 2003 one of four vice-presidential posts shared out among wartime rivals in a transitional government.